So far, we’ve covered WhatsApp, Facebook Messenger, and Telegram. This week kik takes center stage. Key functionalities: Send and receive text as well as photos, videos, animated GIFs, memes, stickers; bot shop where users can browse chatbots by category; easy access to popular viral videos and memes; add-ons such as Filekicker and Tru Tower enable file transfers and audio messages respectively; group chat functionality allowing for groups with up to 50 users; kik codes (like barcodes but round) allow users to quickly add new contacts (and chatbots) and join new group chats; build your own chatbots (yes, you still need to know some code); free to download and use, brands can pay to attract users to their channels. Pros: Easy-to-use platform with a very simple and intuitive user interface—doesn’t include a lot of clutter leading to sensory overload and epileptic seizures; cross-platform compatibility means that anyone using any combination of phone and operating system can use kik; kik games and points incentivize engagement with the app and brands. Kik codes are a quick way to add users and join groups; quick access to viral web content; user identity is based on a username, not a mobile phone number. Cons: Kik’s user base is it relatively small compared to other big name chat apps, but it is also very young 82 percent of users are between 13 and 24, and the app’s functionalities reflect that. Location sharing is not possible; bot store lends itself to spam and abuse—kik struggled mightily with spam bots, particularly ones transmitting adult-natured content, although it finally seems to be winning that battle; private group messaging is limited to just 50 users per group; last, but certainly not least: Security—kik ranks low in information security, providing transmission encryption for messages, but retaining encryption key access. 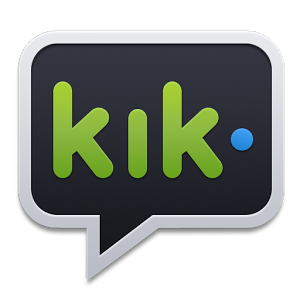 This means that that your messages can still be accessed and read by kik. Karim: Personally, I’m not sold on kik for either personal use, or in the context of international development work. While I do appreciate the ease of use and intuitive interface, particularly in comparison to Snapchat which feels like it’s designed for people with severe attention-deficit disorder. It seems kik is better designed for sharing viral web content than it is to be a well-rounded communications toolkit. My bot experience was decent enough, but no better than with other messaging apps. This surprised me, because kik—along with Facebook Messenger—has made a huge bet on chatbots as the next big thing for people who want an even easier solution than apps, and brands that want to engage their audience. Brands such as Skull Candy and online viral video platform Funny or Die have found success reaching users through kik. Perhaps the rub lies in the user base—a very Western, very teenage user base (not typically work-ready young people whom we tend to engage in our work). The disconnect was quite clear when I used the Chatty McChatface bot to (supposedly) connect me with real kik chat users to discuss topics of my choice (although those choices were limited to such substantial topics as “Music: Kanye West vs. Taylor Swift”…which I immediately chose. Me: Taylor Swift is the best. I love her songs. Me: oh totally. She’s the bomb diggity. RKU: awesome choice. 2 gud. Me: What do you think about Kaiser Wilhelm? Adam: First of all, according to kik, 40 percent of U.S. teens use their app, so they’re certainly doing something right, even if they can’t help Karim find a random chatter who wants to discuss the intricacies of late-19th century German nobility. Taking a queue from the success of WeChat’s chatbots in China, kik has lashed itself to the mast of the chatbot craze, alongside Facebook Messenger. In an ocean crowded with messaging apps, whether chatbots will be the critical differentiator that sets some apart from the rest remains to be seen. Certainly kik is betting that they will, despite the fact that in the U.S. market, the advantage of chatbots over apps and mobile-first websites is still not clear. I suspect this is due to relative differences in the cost of mobile data; far more plans in the United States include unlimited data which means apps and mobile websites are an easy download, whereas in China most people are still on prepaid plans and pay for each megabyte, so data-light chatbots are far more attractive for users. In the context of international development, chatbots offer the same advantages they do in China: a simple, data-light interface that (at least in theory) makes it easy to interact with brands and organizations. With a little imagination, I could see governments using chat bots to deliver simple services online, provide access to records, host budget data, and create an easy avenue for citizen feedback. I could see small businesses deploying chatbots to improve marketing and e-commerce, and local civil society organizations using them to educate citizens. Still, with WhatsApp and Facebook Messenger dominating the messaging app wars in most of the world, it’s unlikely that space for a challenger like kik will open up, unless that killer chat bot suddenly appears and the Facebook Messenger version just isn’t as good as kik’s. Until the perception that chatbots have no tangible benefits over apps and mobile web sites changes, we’re unlikely to see kik as a popular tool in the places DAI works. Anyone who has read our Digital Insights work knows that our approach to mobile messaging apps is predicated on engaging people through the media they already use instead of attempting to introduce entirely new platforms. Chatbots themselves are based on this premise—they can even be accessed (with an @) within chats between two people, which is a pretty cool little feature that removes one more barrier to using them. Still, lacking a user base outside the United States and Canada, kik won’t have much opportunity to show the value of its chatbots in the rest of the world.